Mommy Needs a Mani...: Day 5, What would you wear? 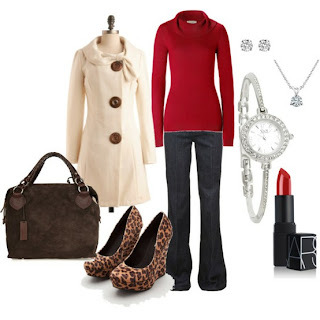 Day 5, What would you wear? 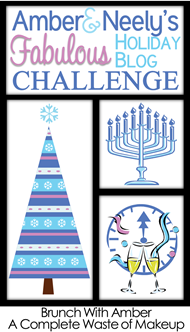 Today I'm linking up again with Neely & Amber for their Fabulous Holiday Blog Challenge. Today is day 5 and the topic is ideal outfits for Christmas and New Year's Eve. This would be lovely for Christmas Eve. Our family usually joins my husband's parents for church and then we all go to dinner, usually Olive Garden. This would be wonderful for Christmas Day. We usually open presents in the morning and have an afternoon family meal. Then if we have other family members to visit I'd still look pulled together. This is cute and comfy! This is so perfect for me! Love the splashes of PINK!! It's perfect for New Year's Eve! In Ohio (where we'll be for the holidays) it's pretty chilly this time of year, long pants will help keep me warm. A little sparkle, a little pink, and a whole lotta cute!! (I need to send a link for that pocketbook to my hubby- I'm in love! We are traveling again this weekend. It's my bestie's birthday, so I need to go bake a cake and finish packing! Have a fabulous weekend!! Very pretty and classy! I really like the x-mas day one! Very pretty! I like the first 2 with the pops of Christmas colors! I adore the Christmas day outfit! It looks super comfy. That sweater and a cup of hot chocolate would make my day end perfectly. Great picks!! That green dress is gorgeous!